The film, recorded over the course of 7 weeks with the beautiful backdrop of Mexico’s Pacific Treasure, hits theaters on April 12th. 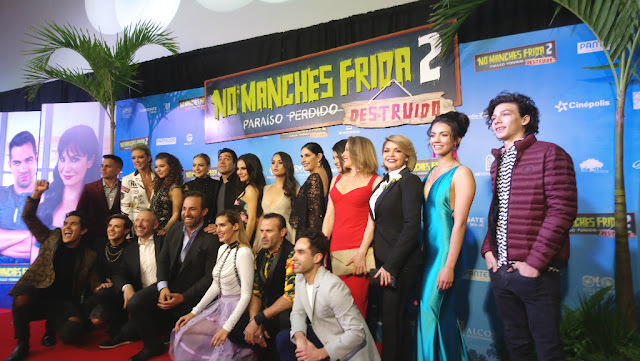 The movie No Manches Frida 2, directed by Nacho G. Velilla, filmed mainly on location in the Riviera Nayarit and W Punta de Mita Hotel, and produced by Pantalion films—the first Latin studio in Hollywood—opens on April 12th nationwide. 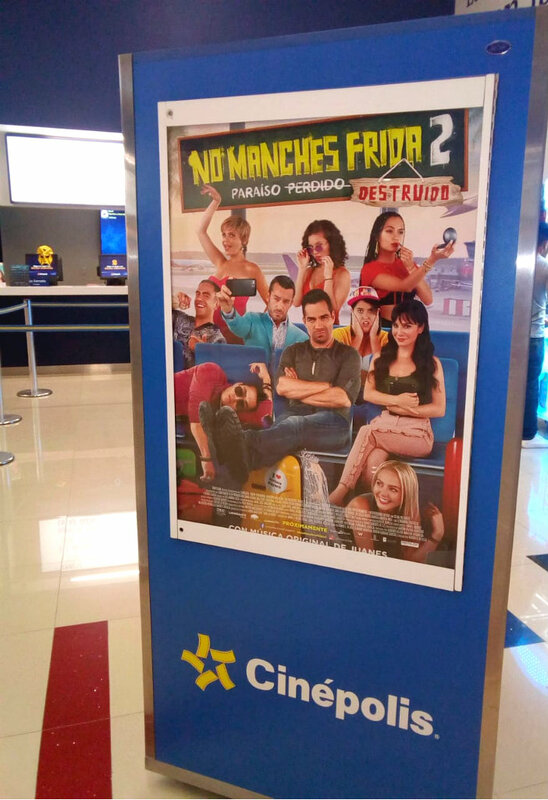 Martha Higareda and Omar Chaparro make their comeback in this second installment (the first opened in September 2016 and became the fourth top grossing film in the history of Mexican cinema), along with actors Itatí Cantoral, Aarón Díaz, Andrea Noli, and Fernanda Castillo, among others. A spectacular red carpet event was held in a theater in Mexico City on Tuesday, April 9th to kick off the premiere of No Manches Frida 2 with the entire cast, headed by Higareda and Chaparro, together with special guests. No Manches Frida 2 was shot on location in the Riviera Nayarit from May 6th through June 8th. Most of the filming took place in the W Punta de Mita, site of the first official take with most of the cast in attendance along with director Nacho G. Velilla and producer Mauricio Argüelles. Marc Murphy, director of the Riviera Nayarit Convention and Visitors Bureau (CVB) and the Bahía de Banderas Hotel and Motel Association (AHMBB), said the shooting of No Manches Frida 2 and other movies are hugely important to the promotion of the destination. The Riviera Nayarit has positioned itself in the film industry on both a national and international level thanks to its great diversity of landscapes and locations that are highly sought after for shoots. Its natural scenery is so spectacular that it has served as the perfect location for more than one full-length feature, music videos, and commercial shoots. Over 100 movies including well-known movies such as Beverly Hills Chihuahua, Limitless and Elysium, as well as programs from top TV production companies such as the BBC, The Discovery Channel, National Geographic, MTV, and ESPN, have also been filmed in Mexico’s Pacific Treasure. 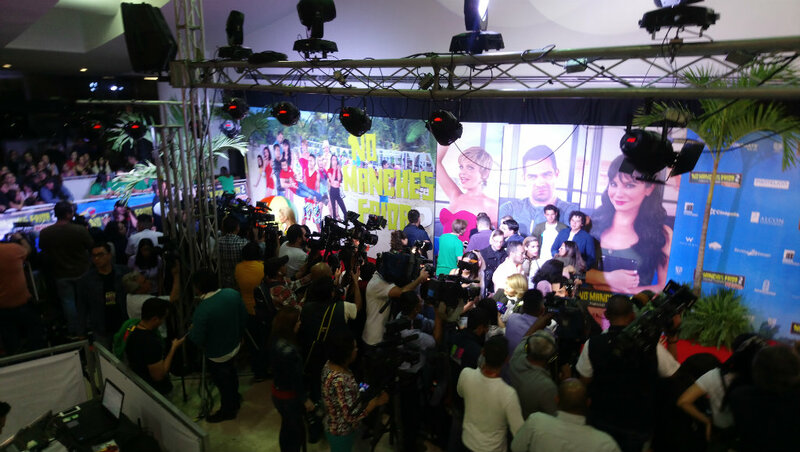 The promotional work done by the Riviera Nayarit Convention and Visitors Bureau (CVB) and the Bahía de Banderas Hotel and Motel Association (AHMBB), with the support of the Government of the State of Nayarit via the Tourism Promotion Trust (Fiprotur), is amplified by the arrival of celebrities who receive ample media coverage and position the destination as one of the best in the world.